FRANK DE BOER is expected to take over as Crystal Palace manager with negotiations between both parties at an advanced stage. Should everything go according to plan, the 47-year-old Dutchman would become the club’s fifth manager in four seasons. 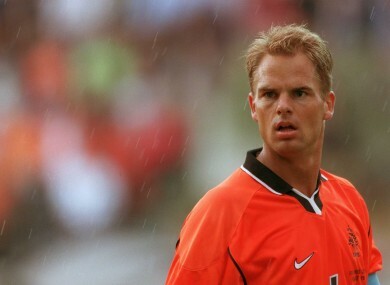 An iconic defender, de Boer spent the majority of his career at two clubs: Ajax and Barcelona, before finishing out his career in the Middle East. He was a senior international for 14 years, making 112 appearances in total for the Netherlands and playing at two World Cups and three European Championships. Immediately after retiring in 2006, he began his coaching career with Ajax’s underage teams. Simultaneously, he assisted the national team as part of Bert van Marwijk’s staff and was a key figure in the team reaching the final of the 2010 World Cup, where they were narrowly beaten by Spain. Afterwards, de Boer finally got his big break and was handed the Ajax senior job. Over a period of six years in charge, his side claimed the Eredivisie title four times. No small feat considering there had been a six-year famine prior to his arrival. His success with the club ensured he was linked with a move elsewhere and came close to taking over as Tottenham boss in the summer of 2014 but they went for Mauricio Pochettino instead. When de Boer did finally leave Ajax two years later, he headed for Serie A and the unforgiving Inter Milan. Having replaced Roberto Mancini, de Boer was afforded little time to turn things around by the club’s difficult owners and was sacked after just 14 games. Regarding the Palace job, de Boer has been in the mix since Sam Allardyce resigned at the end of the campaign. Mauricio Pellegrino, the former Valencia and Liverpool defender who excelled at Alaves last season, was also in the frame though it’s now thought he will replace Claude Puel at Southampton. Email “After years of speculation, it seems a Dutch legend is finally coming to the Premier League ”. Feedback on “After years of speculation, it seems a Dutch legend is finally coming to the Premier League ”.